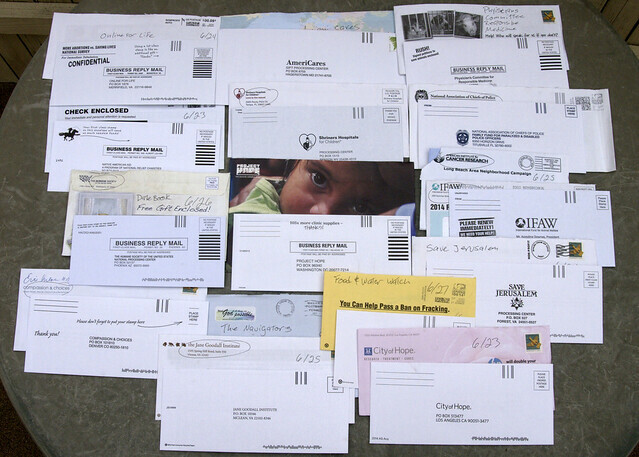 Another great week with less than 100 pieces of junk mail. 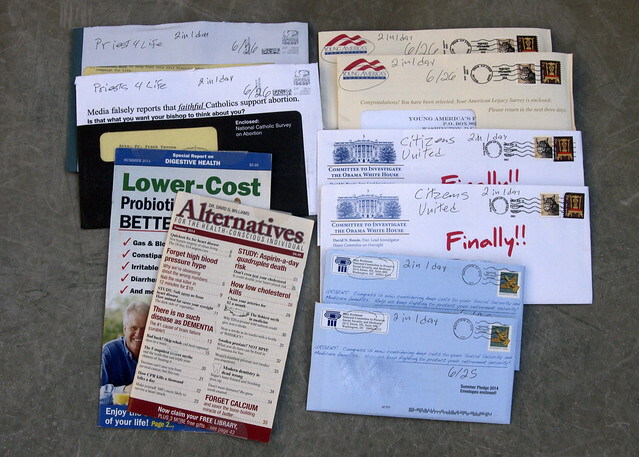 For those of you that haven’t been following along from the start, the peak week was 154 pieces of junk mail. 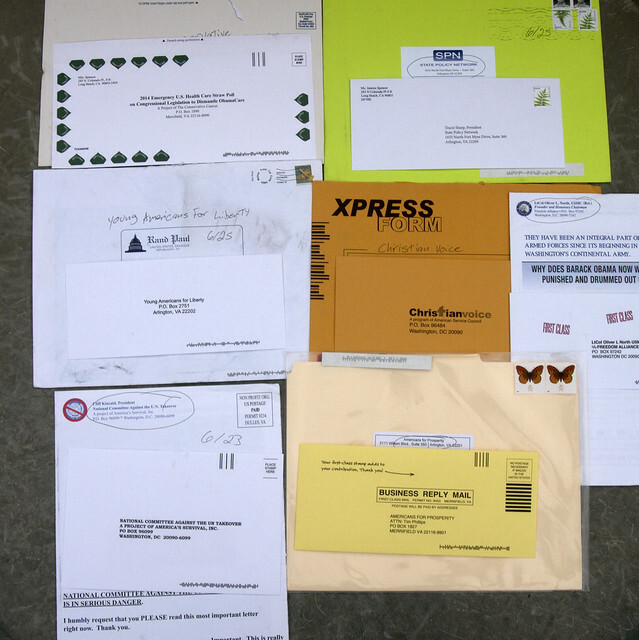 I will take 87 pieces any week, after being deluged with 154 pieces of mail screaming to be opened. Dr. David William’s Alternatives, He is a chiropractor who is into peddling various pills to older people. Here is nice write-up by a doctor about a patient binging in one of his magazines. 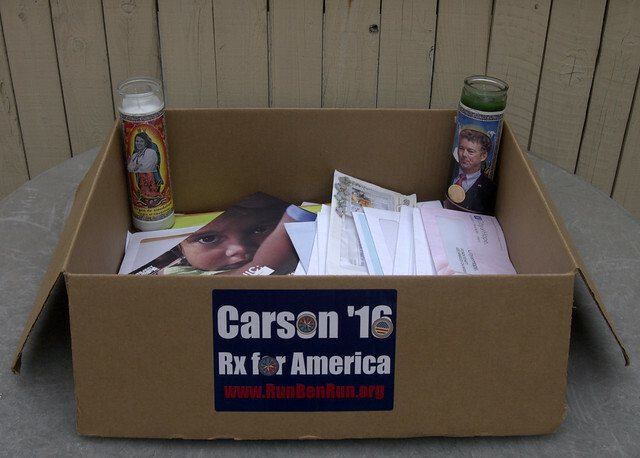 Since he is selling things in the mail piece you will see this again in the form 1500 section of this post. Citizens United, Wiki page, Open Secrets page. National Committee to Preserve Social Security and Medicare. Wiki page, Open Secrets page. You have to opt out twice for these people, but at this point I am willing to jump through a flaming hoop to make junk mail stop. 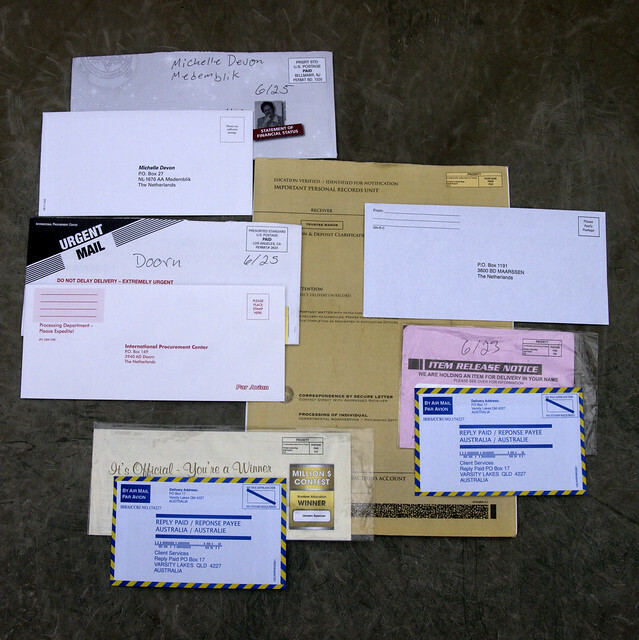 Do not rent my name, No More Mail. 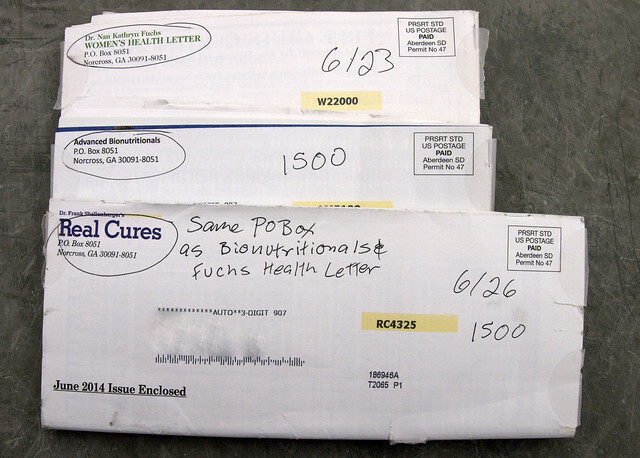 3 Tea Party letters. 2 from Steve Eichler’s Tea Party. 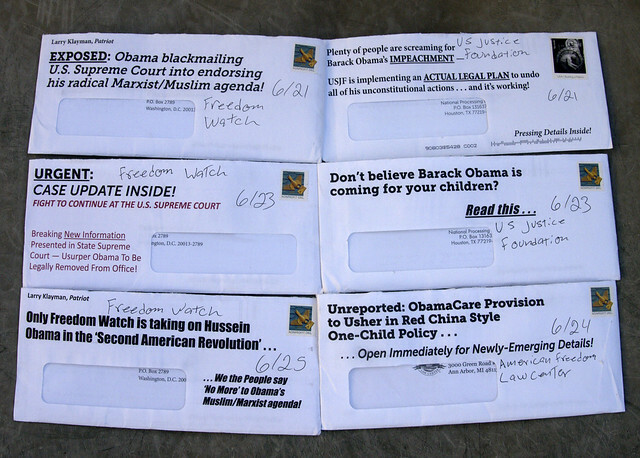 Opt out here contact@TeaParty.org. And one from Tea Party Patriots, Wiki page Opt out here. 2 from the DNC and the RNC each. and 2 from the NRSC. None of them can figure out why she hasn’t sent in her yearly dues yet. 3 from National Committee to Preserve Social Security and Medicare. Wiki page, Open Secrets page. 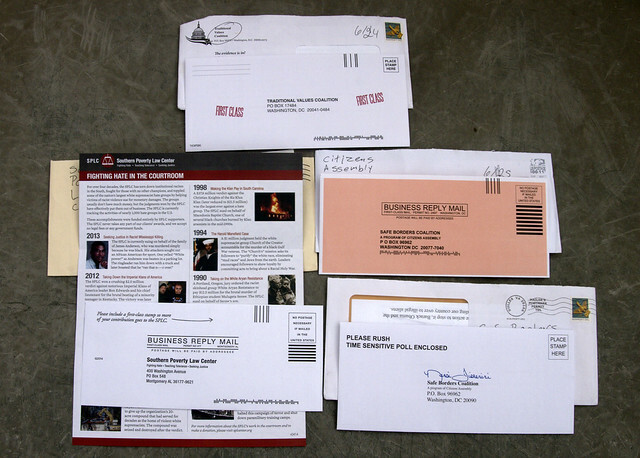 When did 3 return envelopes become a thing? This is the second one in 2 weeks. 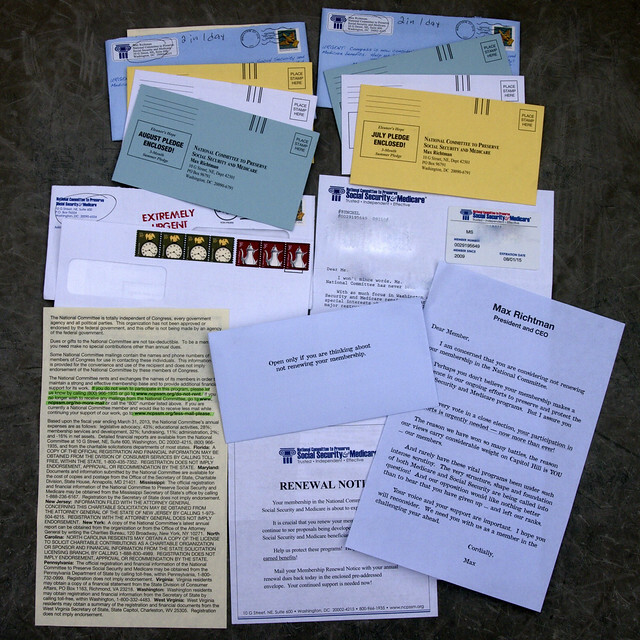 Make sure you opt out twice: Do not rent my name, No More Mail. 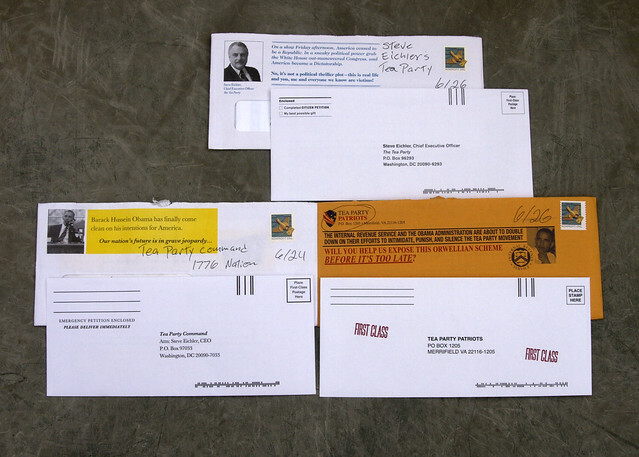 These 6 are all from the same direct marketing firm: Response Unlimited. I will be devoting an entire post to that company and their clients. But for now opt out here. Getting a letter from the Southern Poverty Law Center, in the same week as Traditional Values Coalition, SPLC page, and the Citizens Assembly’s Safe Borders Coalition. Don’t have a website but they are closely aligned with the Minuteman people. They aren’t on the SPLC radar yet, but they fall in to the anti-Immigrant category. 10 US based scams. Almost everyone is going down this week. 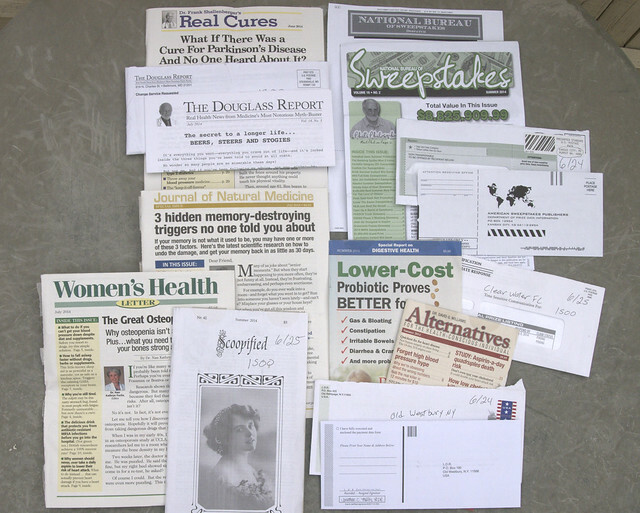 American Sweepstakes Publishers PO Box 12954 Kansas City, KS 66112-2954 it is on it’s last legs. I sent a form 1500 for them a few weeks ago. L.D.R. PO Box 190 Old Westbury, NY 15568 is playing games with me. 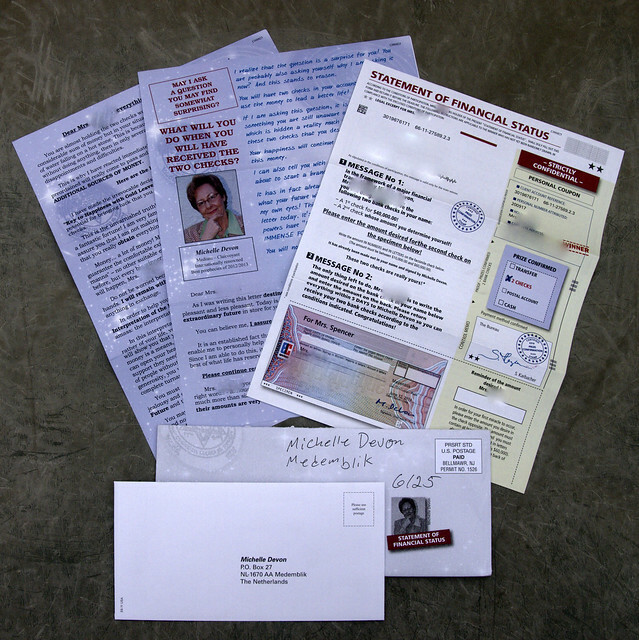 I have already sent out a form 1500 on the outside return address under a different name: L.D.R. 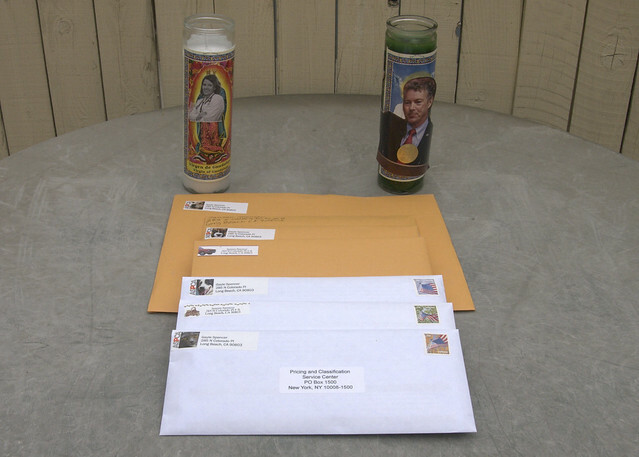 PO Box 422 Old Bethpage, NY 11804. 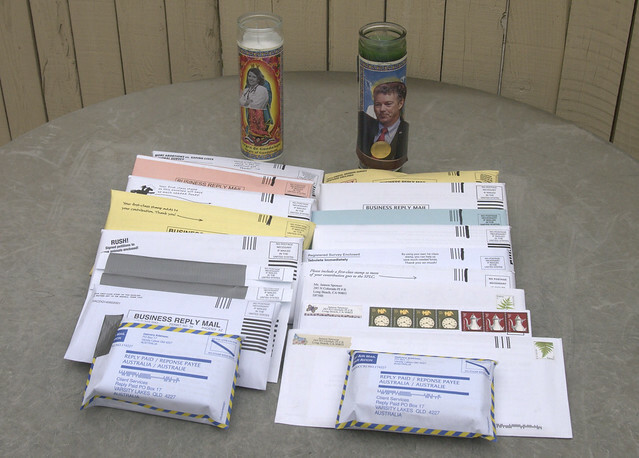 It’s OK guys I will keep sending them in until you stop. The Douglass Report 189 N. Charles St. Baltimore MD 21201. Rational Wiki page. Scoopified P.O. Box 277; Bellingham, WA 98227. It is written by the mysterious Diane Morgan. 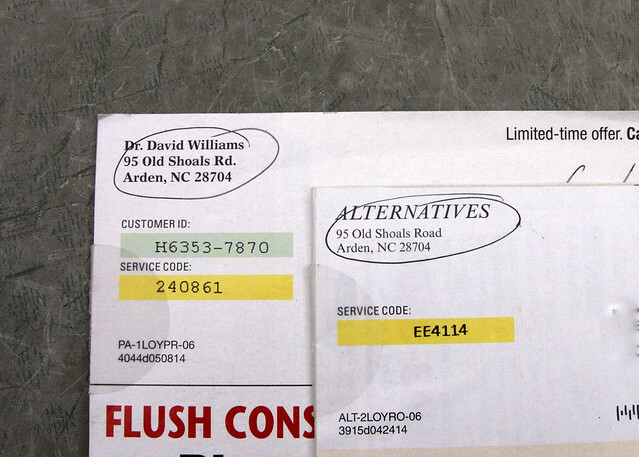 Dr. David William’s Alternatives, PO Box 95 Old Shoals rd Arden, NC 28704. 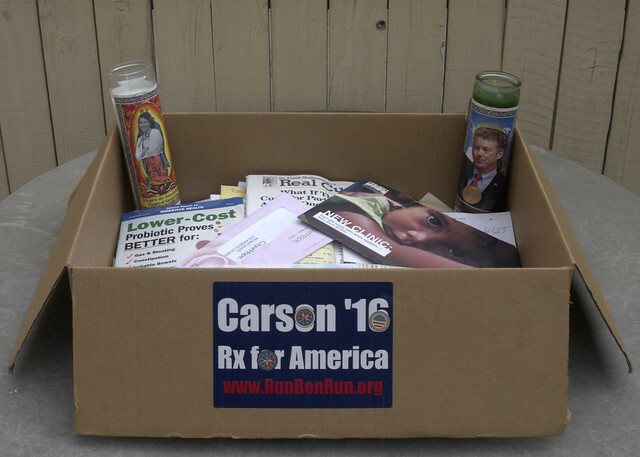 He is a chiropractor who is into peddling various pills to older people. Here is nice write-up by a doctor about a patient binging in one of his magazines. 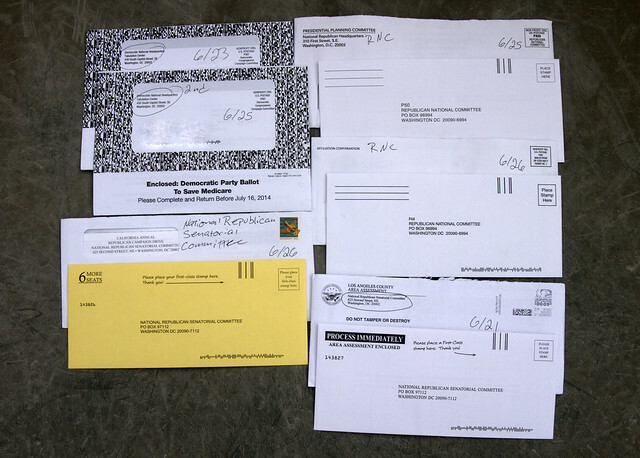 I put in a request to stop the mail through Catalog Choice months ago and it didn’t, so a form 1500 it is. Here are the lucky 7 form 1500’s ready to go. 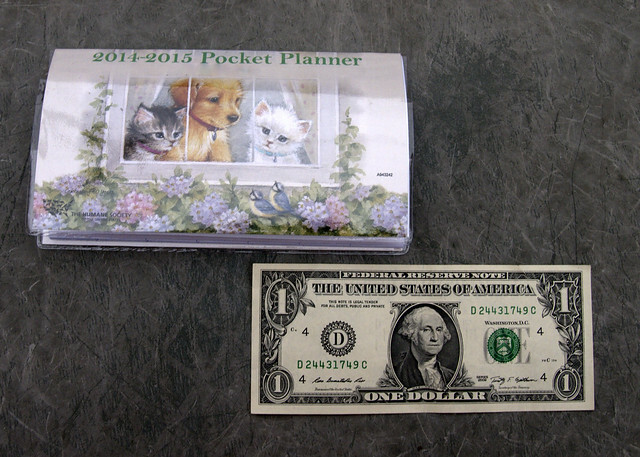 This week I made a dollar and a pocket calendar. Luckily it is a 15 month calendar. I have already put it to good use. 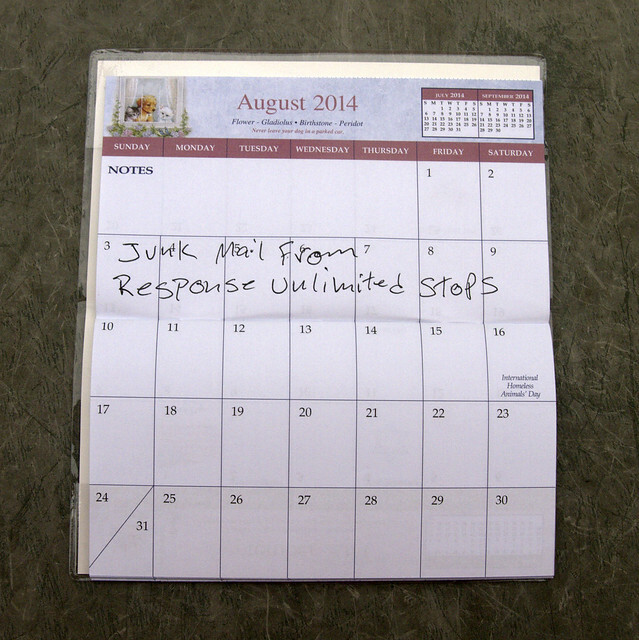 I estimate that the junk mail from Response Unlimited should stop the first week of August. I am sorry, I cannot help you get your money back. First, stop all contact with the scammer. Go to your local police with all the information you have. Also be on the look out for someone offering to help you get your money back… for a small fee. They are also scammers.